This coming Saturday sees a music festival Dandin is very much looking forward to, boasting a lineup that includes some of the best live acts you would ever hope to see in Egypt. The Artivism Festival is the brainchild of a collective that aims to “use different art forms as tools to create social and cultural change.” This particular iteration in the direction the group is aiming for is in the arena of music, and this Saturday Maryam Saleh, El Manzouma and Darwasha Project will take to the stage, with visual effects provided by Tefa. Not to be missed. 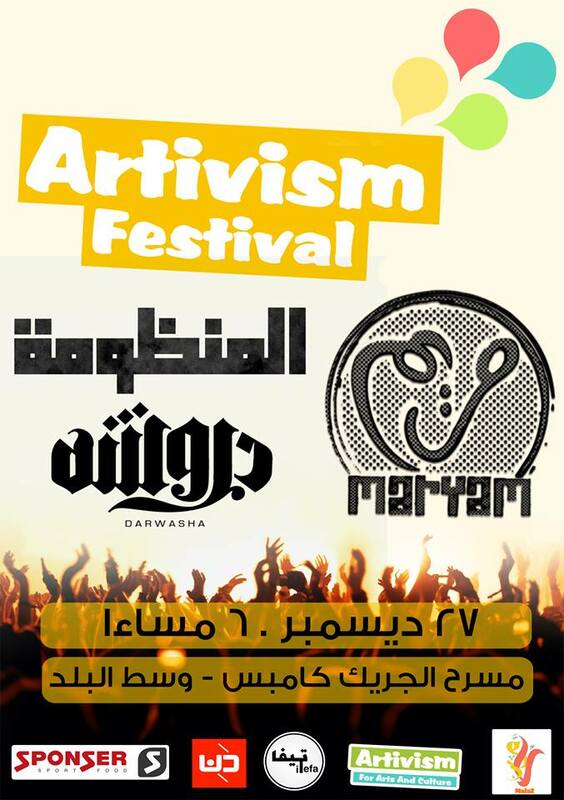 The Artivism Festival will take place on Saturday December 27th from 6:00pm at The Greek Campus in downtown Cairo. For information on how to purchase tickets click here for the Facebook event page.